As part of the larger NextCare Urgent Care, this clinic has affiliates with the closest other clinic being in Dallas about 4.5 miles away and is open today from 8:00am to 8:00pm. 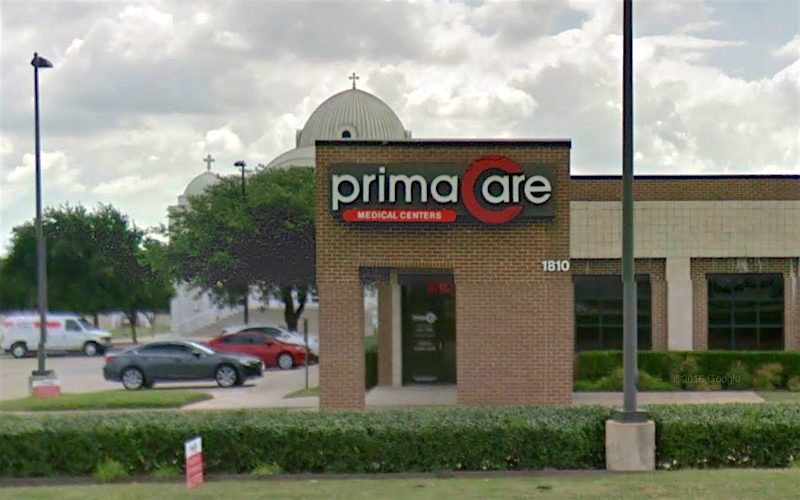 Recognized favorably amongst their patients, PrimaCare Medical Center, Richardson has an average rating of 4.6 stars out of 5 based on 827 total ratings. PrimaCare Medical Center accepts many major insurance plans and multiple forms of payment, making it easier to get the affordable care you need. It is always a good idea to contact your insurance company before your visit to ensure the Clinicis in network for the service(s) you're seeking. Scheduled appt online. Qicker appt than my doc! Thanks PrimaCare. This is my second time seeing Dr. Srinivasan. She is very nice & thorough. Went in for a lingering cough. Made an appointment online, easy-peasy. No wait time, a p.a. who seemed knowledgeable, in and out in 20 minutes. Was just slightly unsatisfied with having to wait 20mins, but only because nobody else was there but me. Figured it would of been a smidge quicker, but a good experience overall. The receptionist was a doll. Very personable & helpful in person & on the phone. My wait was short. The nurse was thorough & had a great personality. The Doctor was in very quickly and spent ample time with me discussing my symptoms. He explained what he suspected I have & the tests he recommended. Once the Doctor had the test results, he came back in & explained his diagnosis & prescribed treatment. Everyone was very professional as well as caring! Good experience overall. The NP / PA was very much about business, fast and didn’t ask many questions. We spent more time in the nurses office than with the practitioner. It was good to run through quickly, but the PA/ NP seemed rushed. When I saw the waiting room, I could see why, because it had filled up. I think she was the only Doc/PA/ NP staffed at that time. Overall a good experience though, and I would go back simply because it’s fast and easy. I don’t typically use doctors unless it’s for a doctor note for my kids, surgery or a life, limb or eyesight emergency.